This beautiful little girl is Bo, Bo started coming to see Charlotte in our weight clinics over 2 years ago. 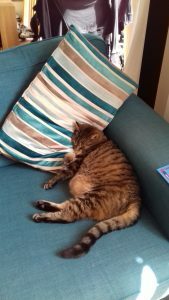 Her owners have been so dedicated to helping her lose the weight and it has made the biggest difference to her! 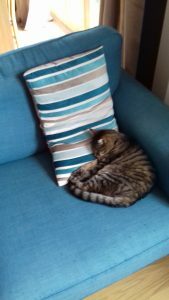 Before she used to be a very lazy cat, just sleeping all the time (she didn’t even fit through her cat flap! ), now she runs around and plays and hops in and out of her cat flap with no issue! So please join us in sending an absolutely HUGE congratulations to Bo and her owners for this incredible life changing weight loss! Charlotte is so proud of what they have achieved! If you have any worries that your pet may be a little on the porky side, please don’t hesitate to contact us, we run free weight clinics throughout the week at several of our branches. Alabama rot is a disease which damages blood vessels within the kidney and skin. The disease causes blood clots to form in the vessels, damaging their lining and delicate tissues within the kidneys, and sadly can lead to kidney failure which can be fatal. It can also cause ulceration on the dog’s tongue. Alabama rot is also known as Cutaneous and Renal Glomerular Vasculopathy (CRGV), and was first detected by in the 1980s in the USA. This disease is still very rare within the UK, and we advise dog owners to seek advice from their local vet if their dog develops unexplained skin lesions. Within a twenty mile radius of Milton Keynes, there has only been one confirmed case since 2014. However, if you are traveling with your dogs, areas of higher case records include Berkshire, Cornwall, County Durham, New Forest, Nottinghamshire, Norfolk, Surrey, Wiltshire, Worcestershire and Northern Ireland. 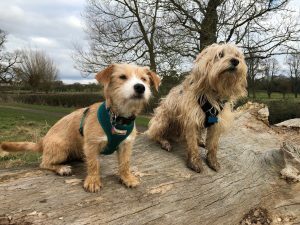 Unfortunately the disease can affect any dog of any breed, age or size, and the majority of cases have recently been walked in muddy or woodland areas. There seems to be more cases reported during the months November to May than there is between the months of June to October, therefore winter and spring time is more dangerous to your dog. Most commonly, the skin lesions are seen below the knee or elbow, and are a symptom of the disease rather than being a wound from injury. There may be a patch of red skin or an ulcerated area, and there may be swelling around the lesion. In the following two to seven days, the affected dogs have developed signs of kidney failure, including vomiting, lethargy and reduced appetite. This disease will not be the only cause of skin lesions or kidney failure, often there will be another cause. 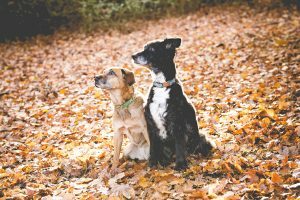 However, prompt diagnosis and treatment is imperative for any dog with Alabama Rot, but without knowing what causes the disease, it is also difficult for us to be able to give you specific advice on prevention or where to walk your dog. We advise checking your dog over for skin lesions regularly and monitor for any signs as mentioned above. We also suggest bathing your dogs after their walks to remove any mud. Alabama rot is unfortunately not a disease we can vaccinate against at present, and it is not thought to affect cats or rabbits. We will update this blog if any new information becomes available for this disease. WHAT IS NATIONAL PET MONTH? This month is a celebration of our animal friends. National Pet Month is a registered charity with the aim for promoting responsible pet ownership. They also aim to bring together pet lovers from all walks of life. Find out more about National Pet Month by visiting www.nationalpetmonth.org.uk. 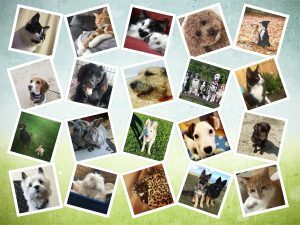 As part of National Pet Month, we would like to introduce you to our MKVG pet family.